It might happen that even though you save your Excel file as a CSV, not all the settings are correct. In this case, you can follow the steps below to successfully convert your Excel file to a CSV file. You can choose to use Microsoft Excel to convert your file, but you can also use other tools such as Google Drive or OpenOffice. Open your file and click the File menu. When you name your file, click on Tools and choose Web Options. 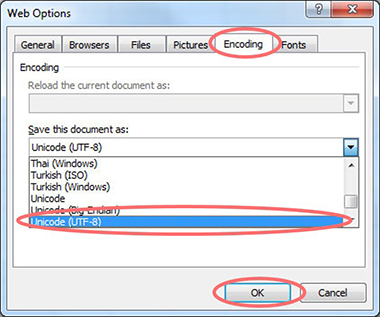 Go to the tab Encoding and choose to save the document as Unicode (UTF-8). 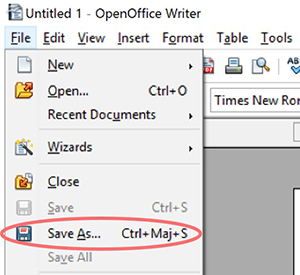 Open your file and open the File menu to choose Save As. Choose Save as Text CSV and indicate Edit filter settings. 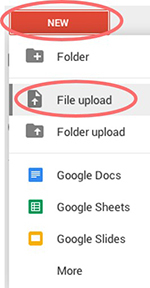 Choose Unicode (UTF-8) as Character set and click OK.
Go to your Google Drive and upload your Excel document by clicking on NEW, File upload and selecting your file. Open your file by clicking the file and choose Open at the top of the page. When in your spreadsheet click on File to open the File menu. Choose Download as and CSV. Now you have downloaded your file as a CSV.